Invasive Oxalis sp. noted in Seattle's Madrona neighborhood. 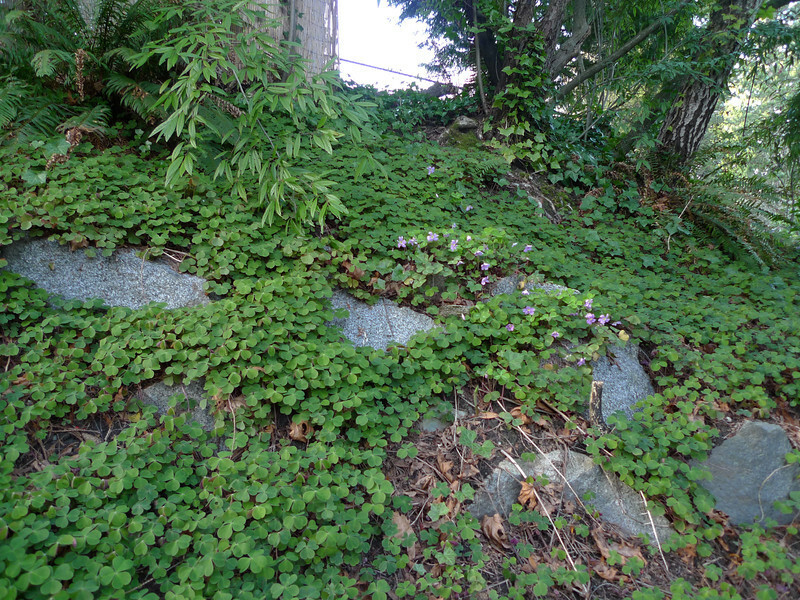 This is, I believe, one of the sources of the infestation, a rockery area on the edge of a back yard.